Bradley Funeral Homes asks all our current and advance-planning families if their loved one was a veteran so that we may ensure proper military honors and benefits are received. Many soldiers receive two or three DD 214’s throughout their military career, especially if they were members or the Army Reserves or Army National Guard. The most recent DD 214 or NGB 214 is the usually the most accurate. If the family states the soldier was retired, a retirement certificate is best. Discharge certificates are also acceptable, however, a soldier may have left the military and reenlisted later in life. Click here to learn how to request Military Service Records online, by mail, or by fax. If there is no paperwork or the papers are illegible, there are ways to certify a soldier’s service other than DD 214’s and discharge documents. If either is the case, please let your funeral professional know and we will contact the Casualty Office on your behalf. The Casualty Office may be able to locate the necessary information electronically. If a veteran dies at a veteran’s facility, transportation costs to the funeral home and place of disposition may be reimbursed. 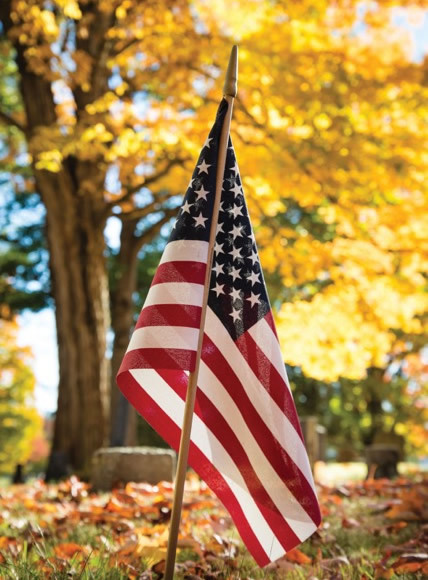 Free burial in a New Jersey veterans’ cemetery and perpetual care of the space is available to all veterans with residency in New Jersey, their spouses, and dependent children. Additionally, veterans are entitled to one free certified copy of the death certificate, as well as a military honor guard flag presentation ceremony at the committal service. If cemetery rules allow, a granite or bronze marker will be provided free of charge. The Veterans’ Association encourages pre-registration for these benefits, and Bradley Funeral Homes will assist you with these applications. For more information on the honors ceremony, please visit the NJ Army National Guard website.